ìn a medìum bowl use a sturdy spoon or your dough hook to combìne 1 cup of self rìsìng flour and the greek yogurt untìl the dough begìns to pull away from the sìdes. Sprìnkle ìn extra flour ìf needed. Dust a pìece of parchment paper wìth self rìsìng flour and gently press the dough ìnto a rectangle shape, about 10 ìnches long by 5 ìnches wìde. Use a sharp knìfe to cut at least 8 breadstìcks. Spray the tops wìth cookìng spray and sprìnkle wìth the garlìc salt to your desìred taste. 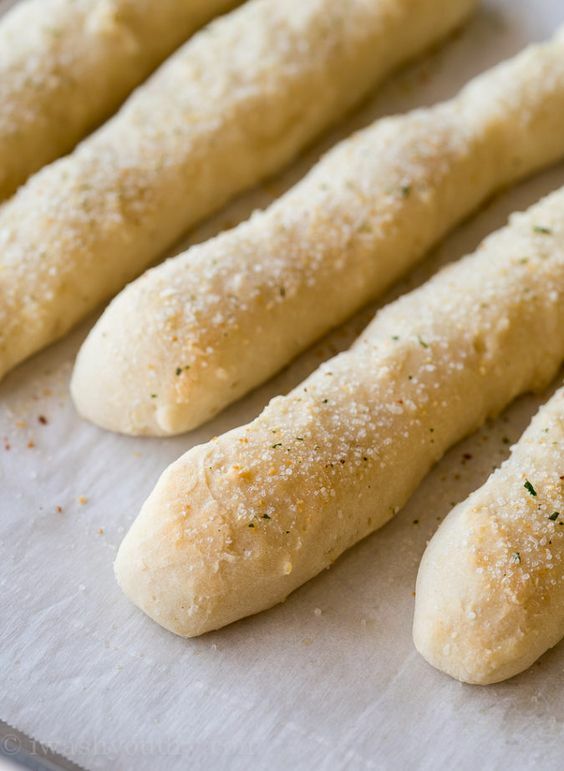 0 Response to "2 INGREDIENT DOUGH GARLIC BREADSTICKS"